The Catana is for many years Shimano’s most sold spinning reel in Europe! And that’s no coincidence: the Catana is strong, solid, smooth and reliable for years, while the price is very competitive. 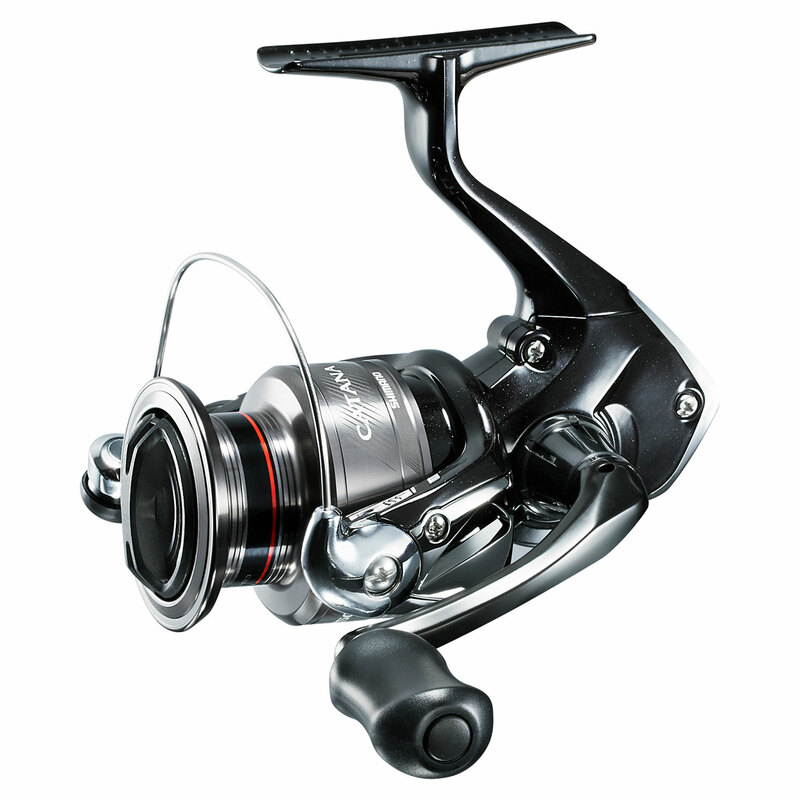 When compared to the previous series (FC), the reel has a new, modern and striking black stealth design. It rotates very smooth and all parts are made to last. Many parts inside are updated and that makes it possible to upgrade the drag power massively, compared to the FC model. This makes the reel also more powerful and ready for fighting big fish! The Catana can be used for many ways of fishing. Of course for predator / spinning / trout, but also very suitable for feeder/match/coarse/commercial fishing, because it is equipped with the anti-retour lever which is liked by many anglers. Because the range is extended with also HG versions, the reel is even more versatile than the previous generation!